"Grandma's on the phone, excuse me." So Bill went to the telephone and talked with his grandmother, who hadn't seen him for four years while he has been in England and Russia. "Pay no attention to them, Grandma," he said into the phone. "They are fooling you." He turned aside and said someone had told Grandma she was too old to travel from Springfield. "Tomorrow. Sure. Be seeing you tomorrow evening." "Grandma" is Mrs. Nellie Cartmell, 82 years old, of Springfield, Mo. She will catch the train there about 2 o'clock tomorrow afternoon and arrive here about 6 tomorrow night. Then Bill cut loose on Russia -- that great nation of the Big Bear (within the week, sixteen Little Bears by ukase of Premier Stalin) and told how Americans can get along with her in the post-war world if this nation really wants to. 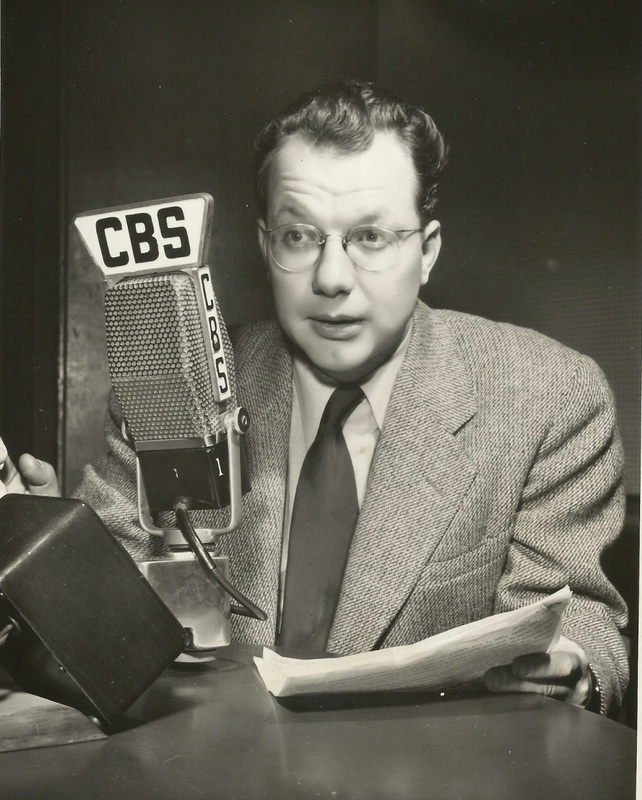 Bill is Bill Downs, CBS correspondent and son of Mr. and Mrs. William R. Downs, [address removed]. He has just returned from a year in the Soviet. "The Russians keep a close check on American politics and are intensely interested in what is happening over here," Downs said, adding that Americans would do well to take as great an interest in Russia. "America and the Soviet Union are the two greatest continental powers in the world today. And I am sure from what I learned while I was there that, if we will suppress our suspicions of that people, we will be able to work out a program for the post-war world which will not only be to our mutual benefit, but which will help insure peace for many years to come. Without mutual respect and confidence, we will find ourselves divorced from the Russians, who no doubt will have a powerful word to say in post-war Europe since they are paying such a price for the freedom of their nation today." Downs said that with less than three years of war behind her, Russia already has lost 10 million of her people, killed and missing. "That includes both civilians and personnel of the armed serviced," he stated. Bill Downs is now 29 years old. He once carried The Kansan and later was with the United Press. He was in London at the time of the air blitz and went to the Soviet after considerable time spent in the English capital. "I never met Stalin, but I have talked with Molotov (foreign minister of the U.S.S.R.) many times, and with most of the other head men of the Russian government," he said. "First, they are tough. Second, they are capable. Third, they are competent to operate not only their army but their own government." "Can we trust the Russians?" That was the principal question asked of him. "That's what the Russians are asking about us," he said. "They want to know if they can trust America. Now Americans want to know if they can trust Russia. "My idea is that we can trust Russia if we are willing to deal with her honestly and fairly. We must realize that her toll of blood in this war is going to make her extremely conscious of her part at the peace table. She is going to have something to say about what happens to Europe, just the same as we'd have something to say about what happens to North America if the situation were reversed and Canada or Mexico had jumped on us and Russia had come to our aid." Downs said that for the most part supplies going to the Russian front are traveling from the railroad junctions to the fighting line on American trucks and other equipment. He said that a large per cent of the medium bombers now being used by Russia are of American make. "All you have to do to make a B-25 look like a Russian plane is to have a can of red paint and use it on the white star on the plane's fuselage," he explained. The correspondent brought back souvenirs from Russia, including money he picked up in Russia, Persia and North Africa. A beautiful shirtwaist he brought back cost him a bottle of vodka, four pounds of butter and five cans of vegetables which his company had sent him eighteen months before he received it. He said butter was not particularly difficult to get in Moscow, but that it was scarce in other parts of Russia. He brought jewel cases, hand painted and of rare artistic beauty back with him for members of his family, and for himself a cigarette case of the same material. He said that America, Britain and Germany all mis-guessed Russian strength, because they could not fully realize that the Soviet Union had come so far in so short a time with its program of industrial expansion and manufacture. "But Russia had been preparing for this war for fifteen years, and that's why she has been able to hold the Germans," he said. Although unwilling to make a definite prediction, Downs said hard days lie ahead in this war. "Surely we here in the middle west don't have to lose our towns to an enemy, have our people driven out of their homes by bombs and brutality, suffer plague and starvation and death to realize what this war means. At least I hope we don't. Just because our men are fighting on foreign soil is no reason those here at home dare lie down on their responsibility. It's going to be tough going for quite a while yet." Young Downs said he would visit here for two weeks, then probably go to London again. British troops today have their second bridgehead across the Escaut Canal in their march across the difficult water barriers which the Germans are using to protect the northern border of Germany. This latest crossing of the Escaut Canal was made just north of the town of Geel and about fifteen miles west of the first crossing that carried British patrols into Holland three days ago. With the breaching of the Albert Canal line, the Germans have been falling back northward from the area between the two waterways, and today the British troops are fighting another battle very much the same as that which won the Albert. Late yesterday the British troops were across the Escaut Canal in two places in their new drive, but bitter Nazi counterattacks forced them to give up one of these crossings and concentrate on holding the main bridgehead north of Geel. Violent German counterattacks were also made against the other crossing further to the east at Hechtel. The Germans are using battle groups of up to two hundred men supported by a half-dozen or so tanks to make these counterattacks. Although the Germans are often outnumbered and always outgunned and out-armored, they press in their attacks bitterly and well. The series of small, sharp clashes that have marked this canal fighting are extremely bloody. And the British soldiers who meet these new German battle groups often remark on how hard the German is fighting despite the odds against him. I was up in the canal area the other day to find out something more about these Nazis soldiers—Hitler's new "total" soldiers. The German total soldier may be a boy of high school age or an elderly veteran of the last war. Up until a month ago he might have been an accountant or a bricklayer or a student. But now he's in the army, and sometimes his uniforms don't fit him. He is inadequately armed, sometimes with out-of-date rifles. He has had only three or four weeks training. Usually total soldiers know how to handle a rifle, but know nothing about a machine gun or a mortar. These are the Germans from the bottom of Hitler's manpower barrel who the Nazi leaders hope will save their skins for them and, somehow, defeat the Allies and throw them into the sea. Although this seems ridiculous to us, it is taken very seriously by the Nazis. And the German soldiers, even the inadequately trained total soldiers, continue to fight with determination. For example, the other day at a Belgian village, Nazi soldiers fought a bitter delaying action that ended only after British troops cleared the village by blasting every house in the village. These Germans, including many soldiers in action for the first time, knew they were surrounded and that there position was hopeless. According to a British soldier who was a prisoner in their hands during the battle, they also thought that Germany had lost the war. Now the question is: why do the Germans continue to fight as they do under hopeless circumstances? As far as I could find out, there are several reasons for this. First of all, most German soldiers deep in their hearts hope and believe that Hitler will pull a military white rabbit out of his sleeve and produce a new weapon that will win the war. Another reason is that many of the men in the army are afraid to give up. They are afraid of their officers and afraid of the fanatical Nazis in their units—and they fear for the safety of their families in Germany. And still another reason for the bitter German resistance is that now the German soldier has yet a greater reason for fighting than even the fantastic ideals of the Nazi Party—the Germans have been on the business end of an invasion for so long that they know pretty much what it means. But now they are on the receiving end of invasion, so the German soldier knows that he is fighting for the Fatherland as well as Hitler. It's something new in German history of the past hundred years. And finally, the German soldier fights to the last simply because many of them are Nazis—the bad boys who know that a great many people in Norway and Russia and Greece and Poland and Czechoslovakia are after their heads. They have no other choice. And the German soldier will probably go on fighting with fanatical madness until he is completely and utterly beaten into submission; until he is convinced by Allied force of arms that resistance is futile; and until he and the other Germans inside the Reich who make his weapons decide that perhaps, after all, they are not a master race, and that Hitler is just another man with a mustache. These are transcripts written by Bill Downs following the German discovery of the mass graves near Katyn. The Nazis and Soviets traded blame, and Joseph Goebbels hoped to use it as a propaganda boon to drive a wedge between the Allied powers. Years later it was revealed that the Soviets were responsible. The newspaper Pravda, organ of the Communist Party, this morning violently attacks the Polish government of General Sikorski for giving official cognizance to the German propaganda charges that the Soviet government allegedly murdered 10,000 Polish officers near Smolensk in 1940. The Pravda editorial said that General Sikorski's Minister of Defense, by officially requesting an International Red Cross investigation into this monstrous crime, has played into Goebbel's hands. "It is not surprising," the newspaper said, "that Hitler shortly afterward also requested a Red Cross investigation." This is the second time in three days that the Soviet government has taken occasion to categorically reject the German propaganda charges. On Friday the Soviet information bureau branded the Nazi allegations a pack of lies. Since that time the Germans, who for several years have been killing off the Poles as an "inferior race," now have taken up their cause as "victims of Bolshevist terror." The ridiculousness of this Nazi position has been lost in the gory details of another mass murder which the German radio has been spreading throughout the world. Briefly the Soviet position is this. The Russians admit that there was a Polish prisoner-of-war camp in the Smolensk district. There were Polish officers and soldiers captured when the Red Army marched into Poland in 1939 to keep Hitler from completely overunning the country. 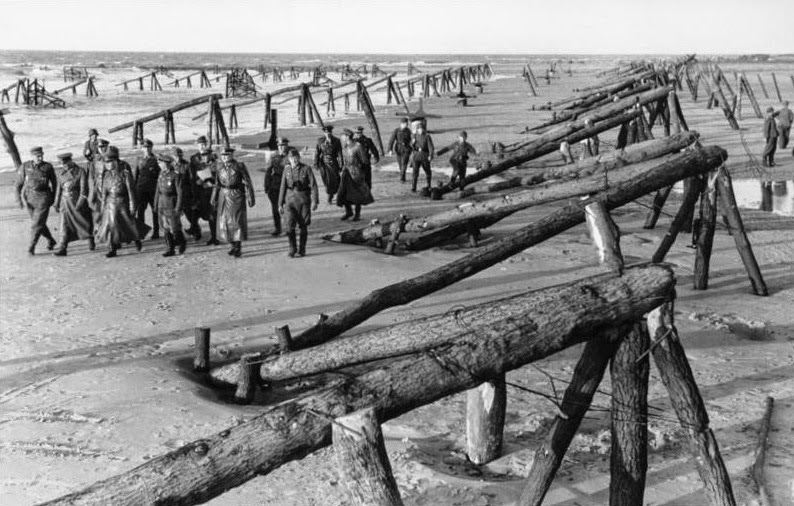 Pravda says these Poles were engaged in building work west of Smolensk when, with many inhabitants of the region, they fell into German hands in the summer of 1941 when the Red Army retreated. The Russians say that if there was mass murder done at this prisoner of war camp, the Germans did it. Pravda puts it this way, and I quote: "The Germans ferociously killed the former Polish war prisoners and many Soviet people. Now they want to hide traces of their crimes." The newspaper continues, "In trying to cover their monstrous ferocities, the Hitlerian sadists, who have a surprising knowledge of the case, are describing 'details' of the murders. But the more they mention the 'details,' the more obvious it becomes that the Hitlerian murderers, who were trained in the schools and prisons of Himmler, are describing their own rich experience." These facts have emerged out of the latest gory German propaganda. First, that one of the most brutal crimes of the war has been committed. Second, that the German story of this crime has too many holes in it to be believed. And third, Goebbels' propaganda about this crime has scored a minor victory. The Allies have taken time out to discuss his story. A lot of words have been spoken and written since the Foreign Office here in Moscow called the American correspondents to its Press Department yesterday evening and handed us Mr. Molotov's announcement that the Soviet Union is breaking off relations with General Sikorski's Polish government. The Polish embassy is now preparing for a quick departure through Iran. The Polish ambassador, M. Romer, presumably will report to his government in London. Mr. Molotov's communiqué is one of the most important documents that has been issued by the government since the war began. It is something more than a diplomatic note to Poland. It constitutes the first diplomatic test of the United Nations. The note is a milestone in Russian foreign policy—foreign policy which is going to be very, very important to the world around the postwar conference tables. I am not going to try to discuss the issues of the break between the Soviet Union and Poland. It is enough that there is disagreement during these critical times when it is unity, not discord, that we need. The issue has grown far beyond the horrible facts of what happened at a prisoner of war camp west of Smolensk—it is beyond disagreement regarding treaties over borders. The issue concerns the whole structure of the mutual trust and cooperation between the nations dedicated to the destruction of Hitler and his allies—and to the building of a freer and better world after the war. Goebbels has succeeded in driving a splinter of doubt into that structure. That splinter must not become a wedge separating the United Nations. Up to now these 10,000 Polish officers who died west of Smolensk have died in vain. It is the duty of all the United Nations to avenge their death, not argue about it. Bill Downs visited the Ukrainian city of Kharkiv following its initial liberation in February 1943. He later reported on the city's reoccupation during the Third Battle of Kharkov. The parentheses indicate text that did not pass Soviet censors for military security or propaganda reasons. I have just had a close-up of how Adolf Hitler's New Order makes history—you know, the kind of history he raves about at the drop of a helmet. The Nazi brand of history he has sold to Italy and certain other countries in Europe. The kind of history Japan is trying to market in the Far East. At 9:30 this morning I took a plane out of Russia's rich Ukraine. I spent Thursday and Friday wandering around the streets of Kharkov talking to people and seeing what I could see. Right now, Kharkov is a very special place. It is more than just another city which the Red Army has recaptured. It's the first big city in Europe that has been retaken from the Axis in which Hitler's New Order had a chance to work. You remember the Germans held Kharkov for sixteen months. And I got to Kharkov with a party of other news reporters only eight days after the New Order was kicked out...before the smell of it had completely left the city. There is no doubt that the Germans thought they were in Kharkov for keeps. All the street signs were written in both German and Ukrainian—German first, of course. German colonists—at least that's what Hitler calls them—had set up business, and there were restaurants and shops with German signs on them. Yes, the Nazis sent a lot of loyal German families to (examine the corpse of Kharkov) collect what they thought was going to be easy money and a pleasant life in the wake of Hitler's Wehrmacht. No one knows just how many colonists Hitler sent to Kharkov. They were a little difficult to count—like flies on a sugar stack. For months they played at being super-men. Ukrainians couldn't ride in the same street cars with them—they had to catch the one hitched on behind. If Ukrainians had better homes or business than [the colonists] had been allotted, the colonists went around to authorities and arranged to take over. That's the way the New Order works. But these good Nazi families were too smart to get themselves caught by the Russians. They ran away with everything they could carry early in January when the Red Army started to march. Two days before the German army fled the city, the Nazi command destroyed every major building in Kharkov. There literally is not one single store, office building, hotel, or government house in the main part of the city which has not been gutted by fire, blown to bits, or bombed. But during the occupation, the Germans did something else—something much more damaging than making piles of rubble out of buildings. It's something you can see in the face of every kid you run into on the streets. The women and old men who are left have the same look. The people are pale from hunger. The boys and girls, particularly, have faces the color of wet dough. They have rings under their eyes like old people. I stopped what I thought was a 10-year-old boy on the street to talk with him. He was thin and had black hair that hung down into his eyes. He grinned when I introduced myself and said in a tough kind of way that he supposed he would tell me his name. He was Vladimir Voskresenski, a good Ukrainian name. He was 14. You see, kids just don't grow very fast without food. I asked him what he did while the Germans were there. He shrugged and answered, "Oh, sometimes I begged for food, some bread or a piece of chocolate if I was lucky. And sometimes I could earn some food by taking my sledge and dragging luggage to the station for German officers. I would get half a slice of bread for that." I noticed that Vladimir had on an outside man's suit coat which struck him below the knees. He looked a little bit like Jackie Coogan used to in the silent pictures. I asked him where he got that coat—I should never have asked. Vladimir started out bravely enough. "It belonged to my father," he said. "He was an engineer. They took him to the hotel over there and beat him for four days. He died. I never saw him again." He was crying when he finished the story. He was a tough kid, like all the kids that survived the New Order in Kharkov. But those kids won't forget. And neither will the rest of the world. During the fifteen months of German occupation, a lot of things happened to Kharkov—all of them bad. For example, there are some facts repeated to me at random by a half-dozen people to whom I talked on the streets of the city. A year ago last October when the Germans took the city they started hanging people. By the second day of the occupation, every balcony stretching for two miles on the main street through the center of the city had become a gallows. Scores of men and women were trussed up and left to hang. Six weeks after the occupation, every Jew in the city was ordered to go to an empty machine tool shop nine miles out of town. Women cried as they told me about this. 10,000 Jews were herded into this camp. Ten days later a huge ditch was dug and a squad of German Tommy-gunners shot every man, woman, and child. It is estimated that 18,000 people were executed in the first weeks of the occupation, but no one knows the exact number. The Germans didn't bother about death proclamations or keeping records. I have check that figure not only with Soviet officials now in charge of Kharkov, but also with a school teacher, a college professor, and four other people who were in the city at the time. This is simply another example of how the New Order works. Hitler's guns, which for fifteen months were held against the heart of Kharkov, were pushed further back westward from the city last night. This morning's communiqué announced that another series of inhabited points have been taken west of the wreckage and ruined buildings which today mark the site of one of the proudest cities in the Ukraine. I left Kharkov yesterday morning after spending Thursday and Friday wandering around the city's streets talking to people and seeing what I could see. Kharkov was about the size of Washington, D.C. before Hitler got to it. It had a peacetime population of 900,000 which swelled to over a million inhabitants as the war progressed. Imagine every major building in Washington gutted with fire. Imagine all of the buildings across the Potomac blown to bits. Imagine every railroad station deliberately wrecked. Imagine street car and bus trolley wires lying over the street. Imagine Washington with just two water fountains and the sewage system wrecked with the streets thick with ice. Scatter a goodly number of bomb craters throughout the city. 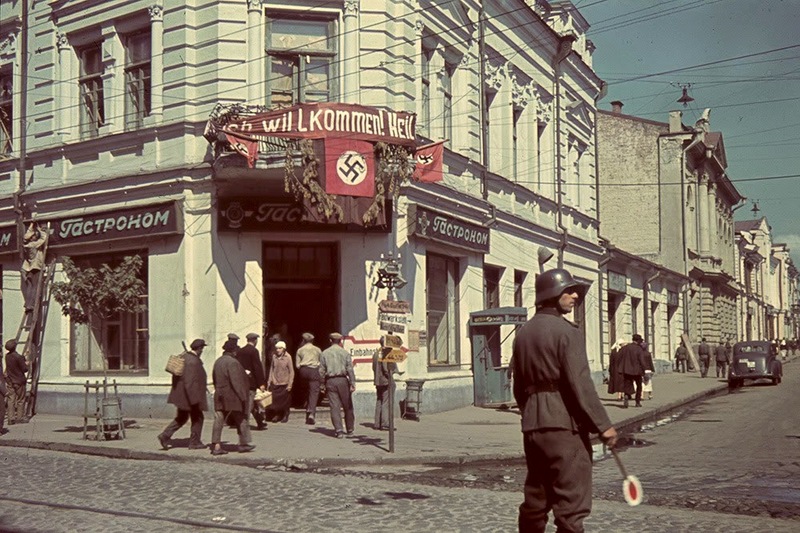 Then you will have a pretty good picture of Kharkov after 15 months of Hitler's New Order. But the New Order has done something else to Kharkov. Something more terrible than mere wrecking of buildings and homes and streets. Something more deeply significant than putting up street signs in German and deliberately looting the city. Something more than taking warm clothing from men and women who walked the streets. Kharkov has a hungry population of only 350,000 today. This means that during the fifteen months of Hitler's New Order, something has happened to about 600,000 people. This does not include a quarter of a million people which the Russian government succeeded in evacuating from Kharkov before the Germans took the city a year ago last October. In talking with Soviet officials, college professors, and people on the street, here's all I could find out about the 600,000 Kharkov citizens who have disappeared under Hitler's New Order. During the first days of the occupation about 18,000 people were executed. 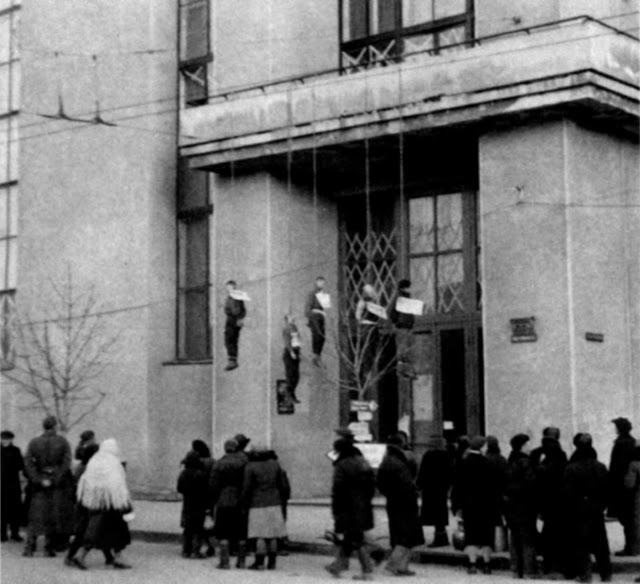 Bodies hanging from balconies were a common sight. Among these 18,000 executed were about 10,000 Jews—men, women, and children—who were taken nine miles out of the city, shot and buried in a big ditch. One hundred and ten thousand people were shipped to Germany for forced labor. All in all, it is estimated that between 90,000 and 100,000 Kharkov citizens will never be accounted for. It's something to think about as Doctor Goebbels prattles about saving European civilization from the "eastern hordes." At Kharkov a couple of weeks ago, I got my first glimpse of just what Nazi "forced labor" means. Simon Legree, with his whip and bloodhounds, was a sissy compared to the Nazi with his rubber hose, his barbed wire, and his hangman's noose. An estimated 110,000 Kharkov citizens are doing forced labor in Germany today. They range from boys and girls of fourteen years of age to men and women of forty. The only requirements for work in Germany is a strong back and a brace of biceps. According to the people to whom I talked in Kharkov, the Germans there used two methods of getting workers to work in their factories. They simply picked them up off the street and packed them off, or they sent around a notice saying the workers should report to a recruiting headquarters—or else. The Germans have an efficient, standard identification card with which they register their foreign workers. It's printed in eleven languages—so it comes in handy for a dozen countries from which they can kidnap labor. This identification card serves as a passport. When the kidnapped worker gets to Germany, he finds that it allows him to move from his factory, or his labor gang, to his barracks—and no place else. We (the American and British foreign correspondents who live at the Metropol Hotel) here in Moscow are a pretty sad group of people today. It's because of the bad news from Kharkov. It was only two weeks and two days ago that we were in that Ukrainian city—and every one of us came away with a clearer picture of what Hitler's New Order means to the conquered people of Europe than any one of us ever had before. (Another thing which saddens the foreign press corps here is the uncertainty of) We are wondering what is going to happen to the people to whom we talked. The people who told us the horrible story of the German occupation. For example, the little 14-year-old boy who (broke down and) cried as he told how his father was killed by the Germans. (The indignant Ukrainian housewife who wept when she told how her sister had been shipped away to Germany.) The kindly little college professor who was trying to reorganize Kharkov's educational and social services to care for the children orphaned by German executions. He was very pleased when we talked to him that he had found homes and food for 300 of these orphans. If I know anything about the efficiency of the Gestapo, (the names of) these people today head the list of German reprisals. I and the rest of my colleagues here in Moscow can only hope that those people evacuated the city with the Red Army. Or that they go into hiding until the city is captured again. I know, as every correspondent does, that it is not often the problems of news reporting make significant news. (These things are part of our job). But there is no better demonstration of just what Hitlerism stands for in this world than Kharkov. Usually, discussions about "truth" have a nebulous quality that almost always end up in confused arguments about what is right and what is wrong. I don't want to preach any sermons. There is nothing nebulous about "truth" in Kharkov today. The people who told the truth to us American and British reporters now stand under the thread of execution. One writer in the Moscow newspapers said this morning that "it is not easy to give up Kharkov." Kharkov is a city of tears. Then he added "but for every Russian tear, let there be mountains of dead Germans." That's the way the foreign press corps in Moscow feels this morning. He was drilling the boys in a large auditorium and using a traditional top-sergeant voice. The kids, who drill for one hour five times a week, were pretty good. Occasionally there would be a left-face instead of a right-face—a few heels were stepped on—but on the whole they looked pretty good. This was the afternoon session. In the mornings, the captain shouted his orders to the girls. They get ordinary military training too. Before they get out of school, these boys will know how to handle a rifle and machine gun and mortar. They'll know the rudiments of artillery. They'll have a tough training period of infighting with bayonets, grenades, and their fists. They will have made long marches and become familiar with night maneuvers. The girls, whose training follows the same pattern, will when possible study radio, telephone operating, nursing, and such. However the girls too will know how to handle weapons. Explanation of the new regulations extending military training to school children was given in the newspaper Moscow Bolshevik. The newspaper said "Soviet school children must be full of a sense of civic duty capable of heroic deeds in fighting and for high productive labor in industry and agriculture." (The Russian winter offensive today is at a stage which might be described as "in between victories.") The tempo of this Red Army's advance through the difficult Donetz basin has been slowed. A severe blizzard has hampered operations north of Kursk and given the Germans in this sector and around Orel an opportunity to rush reinforcements into their defenses. (Only) in the Caucasus (has) the Red Army made substantial progress the last few days. Here the Soviet troops are slowly forcing the German forces towards the Taman bottleneck on the Kerch Strait. The Russian strategy here is to slowly squeeze the remnants of Hitler's army out of the Kuban like toothpaste out of a tube. Not since Chicken Little erroneously announced that the sky was falling down—or possibly since Chicago's Mayor Big Bill Thompson threatened to punch the King of England in the nose—has a single pronouncement whirled through the world's diplomatic barnyards with such speed as that uttered by Senator Barry Goldwater in San Francisco last Friday. When the Republican presidential candidate declared that "extremism, in the defense of liberty, is no vice," the teletypes in Allied capitals from London and Paris to Canberra and New Delhi apparently trembled with the news. When Mr. Goldwater added that "moderation in the pursuit of justice is no virtue," Communist translators in the Kremlins of Moscow, Warsaw, and Peiping sweat over their work. The ironic thing about these statements is that then, and even now, no one knows what the GOP candidate actually meant by these assertions. Members of the Goldwater entourage and leaders of the Republican Party are now fleshing out the Senator's meaning. But overseas in the disturbed capitals of Europe, Asia, and South America, these explanations will be a long time in catching up. It is illustrative of our shrinking world that a verbal pebble dropped beside the Golden Gate can, within a matter of hours, produce a diplomatic rip-tide around the globe. But since Senator Goldwater is only a presidential candidate and not a member of the executive branch of the U.S. government, the vociferous foreign fears are more semantic than real. The fact is that both our allies and our enemies have always had a morbid fascination with the American electoral process, and they consider the raucous conventions and noisy campaigns as undignified and somehow unworthy of the democratic process. In foreign eyes, Senator Goldwater appears to be the reckless product of a more reckless political procedure. Overseas observers are perpetually surprised that, after the shouting is over in November, Americans seem to forget their bloody party feuding and go back to living normal lives. Then there is the question of words and their different meanings in the United States and abroad. When Barry Goldwater calls himself a right-wing conservative, in the European mind there is stirred the image of monarchic or economic despotism. For was it not the ultra-conservatives in prewar Italy and Germany who brought Mussolini and Hitler to power? Try to explain to a visiting Englishman or Frenchman that this does not apply to Candidate Goldwater or any other U.S. right-wing conservative and they will shake their heads: "You Americans are naive," they say. "We've been through it and we know." Thus when the man from Arizona won the GOP nomination on a conservative platform last week and followed up with his gratuitous and amorphous definition of extremism versus moderation—the reaction among both ally and enemy was immediate. The British press editorially feared that Goldwater might threaten the long-standing Anglo-American alliance, and Britain's expectant Labour Party leaders feared the Republican candidate might somehow upset their own anticipated victory over the Conservative government in the United Kingdom's elections in October. In Paris, the French reaction to the Cow Palace nomination was even more complicated. Although it might be expected that General De Gaulle would welcome another strongman on the Western politician scene, his political editors saw it another way. 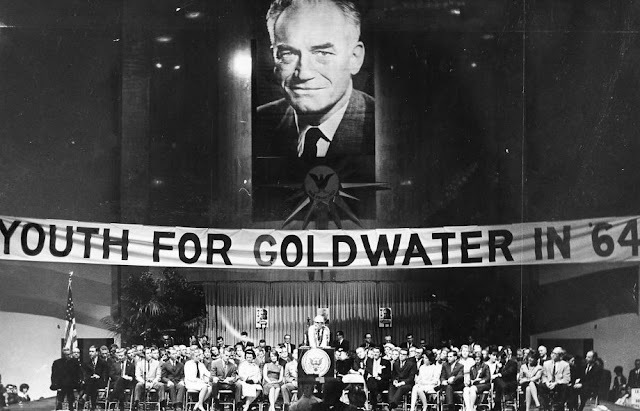 The GOP's nomination of Barry Goldwater, they say, proved what the Gaullists suspected all along: the U.S. could not be depended upon. Therefore the General was right in promoting his own nuclear arsenal and drawing away from NATO. Unfortunately, certain publications of the radical right in West Germany, Spain, and South Africa have added to Europe's diplomatic suspicions about the Republican candidate. The Bavarian newspaper National Zeitung reported Goldwater's nomination as if he were running for Chancellor in Bonn. And the Johannesburg Die Vaterland said the Arizona Senator had "unmasked the liberal mass communications media in the U.S." The Madrid newspaper, ABC, which is the organ of the Spanish monarchists, commented that the Goldwater victory was a "reaction against the idea that the world must continue moving to the left." The reaction of the Communist press to the Senator's nomination was as expected. Moscow's Izvestia sneered that Goldwater represents only "a minority of a minority" and represents "chauvinism, imperialism, reaction, and aggression." The Communist press of Warsaw said the nomination meant the "linking of demagogy, racialism, and millions of dollars from Texas." It should be pointed out that the Communist propagandists seemed to be going easy on Senator Goldwater. When they really get tuned up, they begin calling their target something like an "unspeakable Fascist beast." Actually, we supposed Americans should be flattered at all this overseas attention paid to our complex political struggles. Foreign concern over what happens in our domestic elections is proof of American leadership and influence throughout the world. But Winston Churchill once observed privately that "when the Americans enter into the dog days of their election madness, it is wise for the foreigner to withdraw and watch the proceedings in dismay until the malady has run its course." The old statesman might have also added that, somehow, we always seem to recover. This is Bill Downs substituting for Edward P. Morgan. Good evening. 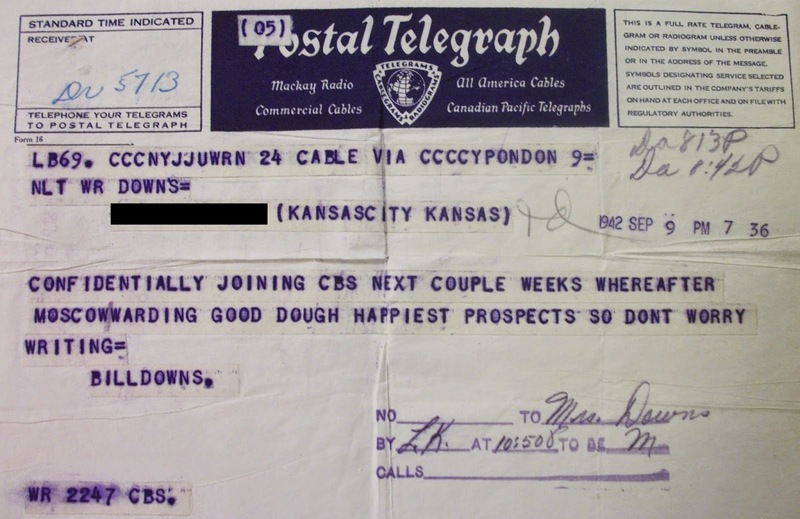 Bill Downs regularly wrote home to his family in Kansas City, Kansas after D-Day. 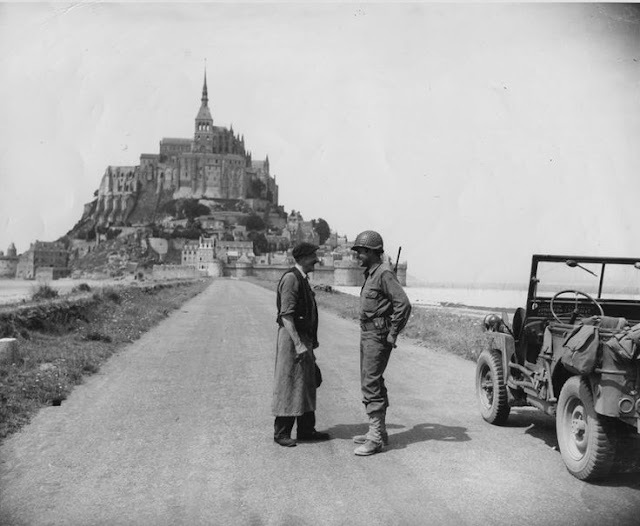 He talked about his life as a war correspondent in Normandy, from the long days of monotony to the spurts of front line action while accompanying Allied troops. The ellipses between paragraphs indicate omissions of mailing addresses and general well wishes. I finally received a letter dated May 5 which was most welcome. I don't know what has become of the rest of the mail, but the addresses seem to have been screwed up. 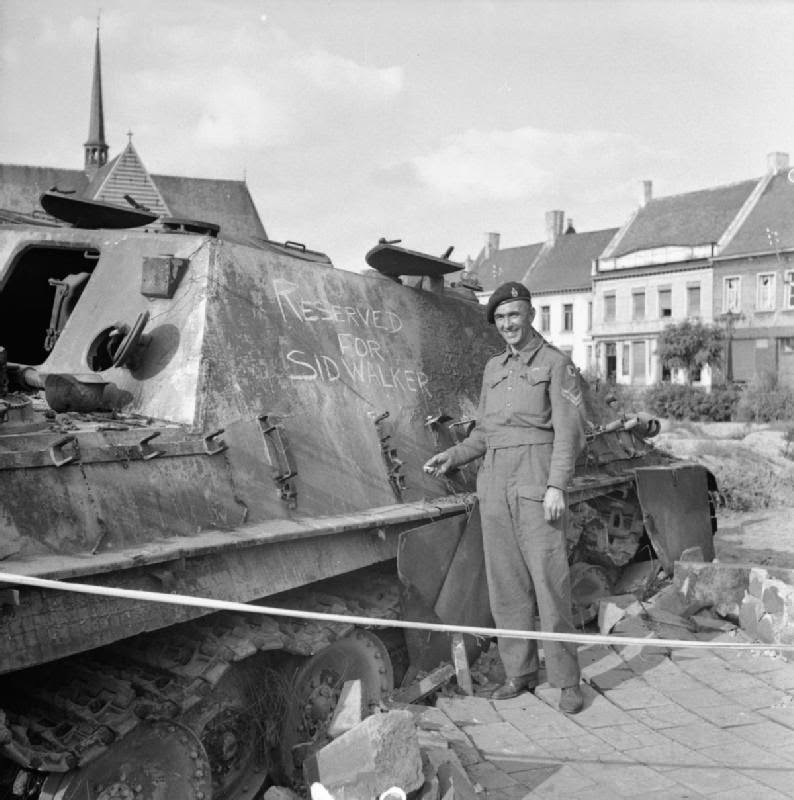 I was the first correspondent into Caen, but after running the gauntlet of German mortar and shell fire, I'm giving up the idea of being first everywhere. It was pretty frightening...and you don't know how much like home a slit trench can become. Caen is, or was, a beautiful city. There are some abbeys and cathedrals dating back to the tenth century. I hope we don't have to leave a trail of such destruction and death as we go forward. However, if we have to, we have to. No city or even country should be spared in stamping out the thing against which we are fighting. But it is not a pleasant sight. The Germans have been shooting at us all too frequently lately, so I'm taking it easy for a while. I caught a nasty head cold last week but have gotten rid of it. Otherwise, I'm in excellent health. However British field rations are a little tiring. I've eaten steak and kidney pie until I'm sick of it...and stew and army biscuits are no better. Army tea, which is the only thing to drink in this man's outfit, is something they should have left in the horse. Ed Murrow has offered both Larry LeSueur and me spot of leave if we want to take it. I haven't made up my mind yet, but I think that I'll stick around a while. I don't want to miss anything. There is so much to tell that it is difficult to begin. Generally the routine runs like this. Up at 7:15, have breakfast and get to an 8:30 conference, then another conference an hour later. After that you know where to go on the front. So you set out about 10 AM for the sector where you think things will be happening. Then you depend on your map reading to get you there. Very often you get on the wrong road and end up dodging bullets. But when you reach your destination, you look up the senior officer who shows you Germans or whatever is happening. You talk to the soldiers and get their story. Then you dash back down to make the afternoon broadcast at 3 PM—about 8 AM your time. Then you go out again looking for a story, get back for two more conferences at 6:30 and 7:30 PM and then write your evening broadcast at 11 PM. By that time you are ready for bed. I don't get but about one drink a week these days. You're too busy to play around. However there are some likely looking prospects in Caen...and I am ready. That's about all. I'm living in a small hotel near the press headquarters but shortly am moving to a chateau. Water and light are the chief difficulties. There are none. And laundry is something you do yourself. All in all I'm having myself one hell of a time...so don't worry about me. I'm getting myself a sunburn and have that bronzed look...which for a change does not come out of a bottle. The one thing about the British army that I like most is the fact that the British post exchange system gives you one good bottle of scotch a month...and a bottle of beer. I got a fifth of Vat 69 which disappeared in two days. With the shortage of local liquor, the place is as dry as the most avid prohibitionist could want it. As you have heard, we've made a new breakthrough eastward and southward of Caen. I saw the world's greatest air bombardment from a grandstand seat only a mile away on a hill. It was really terrific. More noise than probably ever has been created on earth before. Everyone over here is talking the end of the war, but I'm not so optimistic. I bet £50 the other day that Hitler would not be licked by October 1st. I've been looking for a beautiful blonde refugee who would like to do my washing and generally take care of me, but no luck thus far. This woman situation over here is hopeless. But really, getting laundry done is just as bad. I wear a shirt until it almost walks off me, then I change and wash it. Takes most of my leisure hours trying to keep clean. I'm messing with the BBC broadcasting unit; we live in a chateau of a count. The Germans were living in the same place a few months ago. The count doesn't seem to mind which. The place has gone to hell generally, but there still are traces of the old feudal grandeur which he once owned—paintings, gilt, and worn out plush carpets. I now have a jeep of my own and a driver. The jeep is named Mary Ann. The driver, Jock, says that's because his gal is the fastest thing in Britain. I'm getting rid of the captain who is supposed to conduct me. He is more trouble than he's worth—one of the vague types which you have to wet nurse. I conduct him instead of him conducting me. Having him around here is something like the days when I used to have to look out for Bonnie—only I think she was less trouble. I saw some German prisoners the other day in the area south of Caen—they were the worst looking group of men I have ever seen. The British have them divided into two groups: those with lice and those without. The latter are a minority. And three out of four of them looked to be about 16 or 17—kids with their cheeks still puffed out in adolescence. Most of them carry dirty pictures around with them. On the whole they are a pretty scrubby lot. But they fight like hell, even the young ones. These kids have never known anything but Nazism, and I will say that it makes good soldiers, but nothing else absolutely. Germany is going to be one hell of a problem after the war. Outside of the fact that I'm getting the reputation for being the worst dressed correspondent in France, there's not much news. I'm going to the American quartermaster tomorrow and make my critics ashamed of themselves. Keep writing...maybe I'll get one of your letters some day. If you want to reach my by cable, Paul White in New York will forward it to me. Take care of yourselves. I finally received a letter written since D-Day. I have been writing you letters since before D-Day. I hope you have been getting them. I have no stamps over here and have just been putting them in the mail in the hope they will get there. Nothing much going on right now, but by the time you get this there should be some more good news. We don't exactly know what to make of the Hitler crisis. It sounds almost too good to be true. We feel that Adolf probably will get by with it again. He's had almost a generation to dig himself in. He won't be easy to throw out. Anyway, no one is worried about it...these troops on this front have to be licked whether Hitler throws in the towel or not. And that's what we're doing. The destruction from our tremendous bombing has been terrific. We've captured 2,000 prisoners after the Caen breakthrough, and a large part of it was due to the air—they were bomb happy. I had a bath the other day—wonderful feeling. We now are living in a chateau that has a bona fide count...acres of pictures on the wall of all his ancestors, and believe it or not a picture of Ben Franklin given to a former owner of the place by Benjamin himself when he was first US minister to France. Ben sent along a letter with the portrait, but the count say that the Germans took the thing away. I live in a third floor servant's room in the chateau and it's really not bad, except no water or lights and an anti-aircraft battery practically under my window. I share a bed with Chester Wilmot, an Australian with the BBC. All in all it's a pleasant setup and nice to come back to after the battlefield. I still hope to get a few days off in the next week or so. Glad to hear that I took the priority over the GOP during the convention. Makes you think, I hope. Betting over here is ten to one against Dewey. Wanta bet??? Have a late broadcast tonight. We go on the air at 1:15 AM most nights...doesn't give a hell of a lot of time for sleep if anything is happening. We've finally been having some summer weather with sun and heat and everything. Also plenty of dust that gets in your ears, eyes, hair, and even your toenails. I must have driven through 70 miles of a solid wall of dust today getting to and from the front. We've made such fast gains here the past week that it no longer is a morning's job getting a story. You have to spend all day at it. We are now about 35 miles inland and still going...no longer a morning's job getting to the front through all this traffic. It takes all day now. Everyone is extremely optimistic here. And for the first time I share the optimism. We have a hell of a lot of fighting ahead of us, but I think we now have the enemy's number. He has taken one hell of a beating since we landed. However we have so much of everything that he hasn't got a chance, and I think he's beginning to realize it. I'm living in the chateau still, but we are going to have to move forward if travel difficulties get any worse. We used to be able to get to the front in a half-hour—now it takes three times that long. I went to my first party in Normandie the other night. There were British nurses and plenty of liquor so everyone had a wonderful time. Even the nurses are beginning to look good...which really does mean that I need some leave. I hope to get a few days within the next week or so...depends on how things go. I still have no desire to take leave in England. Might miss something. We've been moving so fast lately that we actually are capturing some villages and farms that haven't been blown to hell. They are beautiful little places, and the farming country is really rich. Grows anything from grapes to wheat. The country south of here where we are fighting now looks very much like the Ozarks except not so rocky and the ground is richer. And they don't have a river here worthy of the name. They call a river what we would call a creek...still, even these streams are important because they stop tanks from getting through. But while it is a beautiful country to look at, it is the devil to fight in. It's a sniper's paradise. Looks like I am going to get that few days rest. Leaving this afternoon for the unspoiled American sector in Brittany where the towns are whole, bottles are full and beds abundant. Hope to get a couple of days doing nothing during this lull before the big storm. Will tell you about it later. Have been working with the Canadian army in the past week. They seem to have bad luck on their sector of the front. However it is the toughest sector in France and they have done exceedingly well considering. Summer has finally shown up. Lovely August weather, hot without being stifling and blue skies and sun. Went swimming the other day for the first time in years, but I think I'll have dust in my hair from now on. Not much to tell you about. I am doing two broadcasts a day when possible. Get up in the morning, go to corps headquarters and find out what happens...go forward from there to division HQ for a more detailed picture, then up to a brigade for more details, and then up to the front for eyewitness stuff. Get shelled or mortared frequently and have become adept at hitting the ground faster than it takes to blink an eye, but have been exceptionally lucky. Then I come back about noon, write the morning broadcast, and go on the air at 3 PM here. Repeat the whole process in the afternoon if anything hot is developing and come back and write my evening broadcast that goes on any time between 11 PM and 1 AM from here. So it doesn't leave much time for anything but work. I hope to be able to scrounge some brandy to bring back with us. Seems that the German Army fights on liquor...all of it confiscated for the Wehrmacht. Hope to run on to a German Army stores dump, but highly unlikely I'd think. Got a Nazi flag as a souvenir the other day. Will bring it home. Also got some German haversacks that I needed, and some clothing for the refugees. Our refugees at our camp are looking better every day. Have a wonderful old woman who takes care of my room. She talks for hours in French; I don't understand a word and speak English to her. She doesn't understand either but we get along fine. Goes on for days. She brings flowers and thinks Americans are wonderful and I supply candy for her kids who spend their whole days shining my shoes. We may be moving our camp soon. I'll be sorry to lose her. The war is going okay. May end sooner than hoped, so keep your fingers crossed. I finally got my two days leave. Went to a paradise called Mont St. Michel off the Brittany coast...fantastic place. One island used to be a monastery in the 10th century and now caters to tourists. The people were still celebrating their liberation, and champagne and wine and brandy flow like water. Wonderful food and omelettes as big as a platter. The press gravitated to it naturally, like flies to honey. Saw a lot of the boys and met Ernest Hemingway, who is now gathering information for another book about the French underground. He is quite a character and a very nice guy. The French people treated us like kings. It is different in the American sector than the British. The towns are intact, and the people haven't lost their homes, so they suffered little. The head of the resistance movement in one town was a little guy who was the town veterinarian. 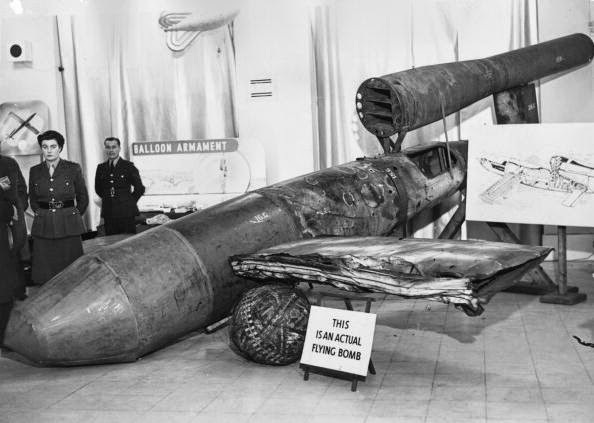 He had spent the past four years blowing up German trains, cutting their telephone wires and such. He seemed almost sorry that he had to go back to treating horses and cows after all the excitement. His mother-in-law brought out some 50 year old calvados for us to drink. It was in a wide bottomed flask with a narrow neck, and inside the flask were two big pears. It seems that she tied the flask over a branch of pears 50 years ago and they grew in the flask. She added the calvados—applejack to you—and there it was. Very good and strong enough to knock your hat off. The mayor in this town also came up with some liquor champagne, which was something like 80 years old...fine brown sweetish stuff bottled in Napoleon's time. His daughter was the liaison officer for the whole underground army in Brittany. She was a dowdy looking red head but with a lot of guts. She had just been released after two months in a Gestapo prison. They knew she was in the underground but couldn't prove anything. So they turned her loose just before the invasion. There were a lot of tears and everyone kissed on both cheeks, and singing of the national anthem of both countries...very moving and sincere. However, after all the wine and liquor I consumed in two days, I really did need a rest when I got back. For the first time in I don't know when, I didn't have a birthday celebration. Worked all day, got into Falaise before it was captured. Narrowly missed being blown to hell by a mine and considerably shaken but came back with a good story. The Germans are pulling out now, but no one knows exactly how far. They don't have a hell of a lot left in Western Europe, and with what the Russians are doing to them I don't think they can last long. However, they have created a lot of mad men who might do anything, including holding out until all of them are dead. We're having some beautiful weather here and it has given the air forces time to do their stuff. They have been raising hell with the enemy. I've seen thousands of beat up German cars and trucks and carts. It's tough on the horses, and the stink is terrific in the forward areas. Also for the first time on the sector, the casualties are fairly light...don't see many bodies as formerly, which is good for everyone's morale. But there are more and more mines and booby traps and you have to watch your step more for them than any shells or mortars. Still a lot of snipers about, but no one pays much attention to them any more. We probably will be moving forward pretty soon. Don't know exactly where, but I hope it will be in as nice a place as we have now. I hope to get into Paris, but it doesn't look like I'll cover the story of the fall of the city. I'm in the wrong army. Still there are other good stories on this front so I don't mind so much. They say there are something like five million people starving in Paris now. It shouldn't be too pleasant, but the reception should be terrific. It may be that we'll have to fight for the city which would be tragic. I hope the Germans are smart enough to pull out of it. Otherwise the reprisals will be greatly intensified, and they must be thinking of those now. Anyway, we'll have to wait and see. I have some work to do now, and I think I have a bath lined up later. I still have the blasted hives. But most of the time I'm too busy to scratch. I want to take over Gene's insurance, but I don't know how I can arrange it from here. You take care of it and let me know the cost every six months or so and I'll forward the money. If you need dough for anything else, just whistle. Take care of yourself and give my love to everyone. Bill Downs wrote this letter on October 21, 1944, while still in the Netherlands. The ellipses between paragraphs indicate omissions of personal details. Well, I'm back in Eindhoven again and more or less ready for the winter campaign. I'm feeling better than I did three weeks ago. They said I suffered from battle fatigue; another way of saying I was fed up with the war. I wasn't sick, just worn out after four months of steady campaigning since D-Day. Couldn't sleep and had nightmares when I did and that sort of thing. Went to London where Ed Murrow took me in hand. Got into civilian clothing, read a half dozen books and lived in his apartment in normal surroundings and found that my morale went up 100 per cent. I'm still browned off by the complacency that exists in rear areas, and in America about the war. No one seems to realize just what the men over here are going through and have yet to go through before this thing is done. But there seems little that we can do about it. Somehow I feel responsible because it has been my job to report the bloody war and still no one seems to know what we're talking about. Anyway, I had some rest and got myself some long underwear and woolen socks and am back at it again. The front is dull right now and I am doing very little broadcasting, but should get to work soon I think. I came back by way of Paris, and really you have to see the city to believe a place can be so beautiful. It's going to be a hard winter for all of Europe—lack of fuel and food. The only cheering thought is that it is going to be harder on the Germans than on us. We are beginning to run into the old atrocity stories again. I tried to tell them in Russia but no one paid any attention. Now we are finding the same Nazi prisons, the same torture weapons—with some improvements—and the same sad stories of persecution, execution and privation by Hitler's bad boys. I don't suppose anyone will believe these stories either, although we are collecting and printing enough evidence to hang the whole German army. It seems that the Presbyterian mind of the average American cannot accept the fact that any group of people can coolly sit down and decide to torture thousands of people. And if torture isn't enough, then to kill them as calmly as an ordinary person would swat a fly. This refusal to believe these facts is probably the greatest weapon the Nazis have, and it will operate in the post-war judgment of the Germans—wait and see. All of us more or less normal people will throw up our hands in horror even at the prosecution of the guilty, because there are so many guilty that we again will think that we are carrying on a pogrom when actually it is only making the Nazis pay for their crimes. But enough of preaching. I will stay up here as long there is a story. But I plan to dig into Brussels too, and perhaps alternate on a back area assignment with someone else such as Paris and maybe London. Ed Murrow asked if I wanted to go to Stockholm. I turned it down because I couldn't see myself sitting comfortably there while this thing is going on. It may have been a good assignment because there is a chance of some good stories breaking there. Anyway, we are fairly comfortable here. We have lights and hot water although there is no heat. But lights and hot water are godsends in this country and we're sticking to them. I think I'll be okay when I get back to work again. And don't worry about me because I haven't even caught the colds that are wandering about. Army rations may be boring but they are healthy and I have enough clothing to keep me warm through a dozen winters. Still I'm optimistic about the end of the war. I feel that Germany cannot stand up under cold and lack of fuel and food and arms and everything else she needs to fight us and the Russians. Wait until the Red Army gets rolling this winter and I believe that we won't have much quarrel with the Nazis. They are going to be tough to root out of their holes but they know they will be rooted out no matter what. And I think sooner than expected. Anyway, we'll have to wait and see. I hope to god I'm right. Take care of yourselves . . . I certainly intend to. It was during the Thanksgiving season some 13 years ago that an editor called us in and said "Here's your passport. Go over and cover the London Blitz." In those days, there still was evidence of Kansas straw behind the ears, and the prospect of becoming a foreign correspondent was more frightening than glamorous. However, it wasn't much of a task moving...pack one suitcase with everything you owned, grab a typewriter and go. That was the way it was for the next seven years...everything you owned you could carry, be it in a suitcase or military duffel-bag. It was a good and exciting life, with assignments around the world. And then this correspondent got married. 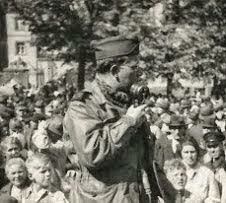 Shortly thereafter, another foreign assignment -- this time to cover the Berlin airlift and blockade -- came along. Still, we were in pretty good shape; could still maneuver with two suitcases, a typewriter and small case in which the bride could carry make-up and perfume. We spent two years in Berlin, during which time a son was born. And when we eventually returned to this country, there were three suitcases, a trunk, bottles and bottle-warmers...and of course, a baby. A foreign correspondent finds it impossible to be glamorous and at the same time juggle a sterilizer. We settled down here in Washington...and sure enough, along came another addition, a daughter this time. And a month or so ago arrived another foreign assignment, this time to Rome. For the past four weeks, in order to become a foreign correspondent again, we have been a real estate man, an automobile salesman, diplomat, handy-man, junk assorter and baggage buster. Where once a single suitcase did the job, it now takes two wardrobe trunks, four suitcases and various and assorted bags and briefcases to make the move. There has to be a paregoric for queasy stomach, dramamine for seasickness, picture books for the boring moments, favorite dolls to combat loneliness, and castor oil for all emergencies. There was the getting up at 5:30 in the morning to sneak the dog out to be shipped to grandparents to avoid the crisis of separating him from the kids. And, of course, new passports, air and sea reservations and the million worries of such an expedition. When the Downs safari sets out, the ghost of Trader Horn will turn from white to green with envy. We hope you'll pardon our being personal, but this is our last appearance on this news and analysis spot which we have held down for the past two and a half years. Over this period, we have spent our weekends talking with you, and, I suppose, sometimes AT you. And for the most part you have been kind, probably more kind than I deserve. During this two and a half years, we have been called many things, including a Communist, for calling the shots as we saw them. We have done reports that afterwards we knew were not as good as they should have been. And we've done others that we are still pretty proud of. But always there was an appreciation of the effort, and no reporter could ask for more. It should also be said here, that no matter how controversial the subject or how sensitive the material, never, repeat never, has the management of the Columbia Broadcasting System or of CBS Radio News attempted to censor or influence the content of any broadcast. Such confidence has to be lived up to. Replacing me on the Saturday and Sunday "World Tonight" program is Bill Costello, a lean gentleman from Minnesota who has made the world his beat, is an expert on the Far East, and who most recently has covered the White House. We covered the Korean war together in our most recent foreign assignment together. You'll find, as I did, he is a challenging and intelligent individual. He'll call the shots as he sees them too. So, thanks for listening...I'll be broadcasting to you from the Mediterranean area for the next couple of years. This is Bill Downs saying goodbye from Washington. I finally got my two days leave. Went to a paradise called Mont St. Michel off the Brittany coast. Fantastic place. One island used to be a monastery in the 10th century and now caters to tourists. The people were still celebrating their liberation, and champagne and wine and brandy flow like water. Wonderful food and omelettes as big as a platter. It is different in the American sector than the British. The towns are intact, and the people haven't lost their homes, so they suffered little. The head of the resistance movement in one town was a little guy who was the town veterinarian. He had spent the past four years blowing up German trains, cutting their telephone wires and such. He seemed almost sorry that he had to go back to treating horses and cows after all the excitement. His mother-in-law brought out some 50-year-old calvados for us to drink. It was in a wide bottomed flask with a narrow neck, and inside the flask were two big pears. It seems that she tied the flask over a branch of pears 50 years ago and they grew in the flask. She added the calvados—applejack to you—and there it was. Very good and strong enough to knock your hat off. The mayor in this town also came up with some liquor champagne, which was something like 80 years old—fine brown sweetish stuff bottled in Napoleon's time. His daughter was the liaison officer for the whole underground army in Brittany. She was a dowdy looking red head but with a lot of guts. She had just been released after two months in a Gestapo prison. They knew she was in the underground but couldn't prove anything. So they turned her loose just before the invasion. There were a lot of tears and everyone kissed on both cheeks, and singing of the national anthem of both countries. Very moving and sincere. However, after all the wine and liquor I consumed in two days, I really did need a rest when I got back. For the first time in I don't know when, I didn't have a birthday celebration. Worked all day, got into Falaise before it was captured. Narrowly missed being blown to hell by a mine and considerably shaken but came back with a good story. We're having some beautiful weather here and it has given the air forces time to do their stuff. They have been raising hell with the enemy. I've seen thousands of beat up German cars and trucks and carts. It's tough on the horses, and the stink is terrific in the forward areas. 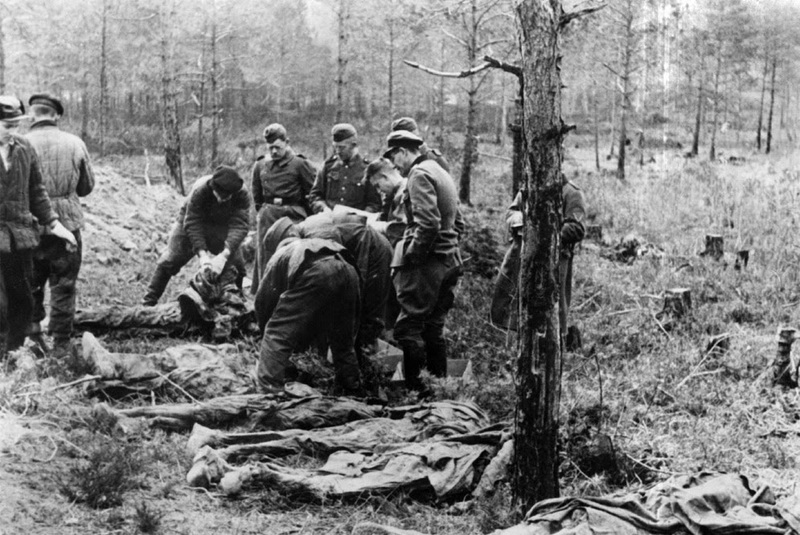 Also for the first time on the sector, the casualties are fairly light; don't see many bodies as formerly, which is good for everyone's morale. But there are more and more mines and booby traps and you have to watch your step more for them than any shells or mortars. Still a lot of snipers about, but no one pays much attention to them any more. We probably will be moving forward pretty soon. Don't know exactly where, but I hope it will be in as nice a place as we have now. I hope to get into Paris, but it doesn't look like I'll cover the story of the fall of the city. I'm in the wrong army. Still there are other good stories on this front so I don't mind so much. They say there are something like five million people starving in Paris now. It shouldn't be too pleasant, but the reception should be terrific. It may be that we'll have to fight for the city, which would be tragic. I hope the Germans are smart enough to pull out of it. Otherwise the reprisals will be greatly intensified, and they must be thinking of those now.